The Passive Imaging of the Lithosphere and Asthenosphere Boundary project aims at studying the interaction of the base of the rigid tectonic part (the lithosphere) with the softer layer underneath it – the asthenosphere. Understanding interaction between the two layers is essential in order to better understand what makes plates ‘plate-like’, and thus understanding the origin of continents, ocean basins and mountain ranges. 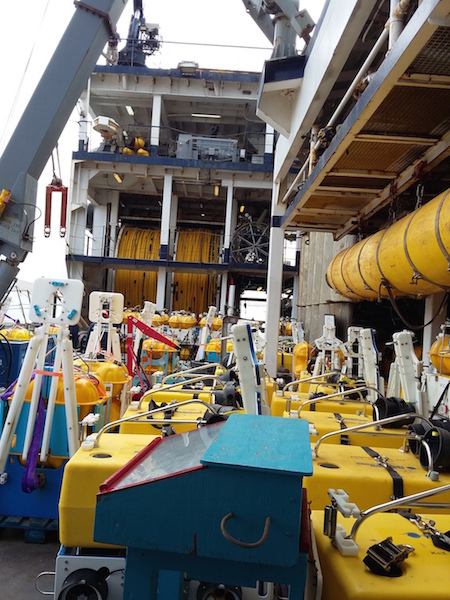 To achieve this, Ocean Bottom Seismometers (OBS) and Ocean Bottom Electro-Magnetic (OBEM) instruments will be deployed across the Mid-Atlantic Ridge along the equator. The instruments will be left at sea for a couple of months to record seismic vibrations and measure the Earth’s electro-magnetic field. The data will eventually be used to map the Earth’s interior structure beneath. 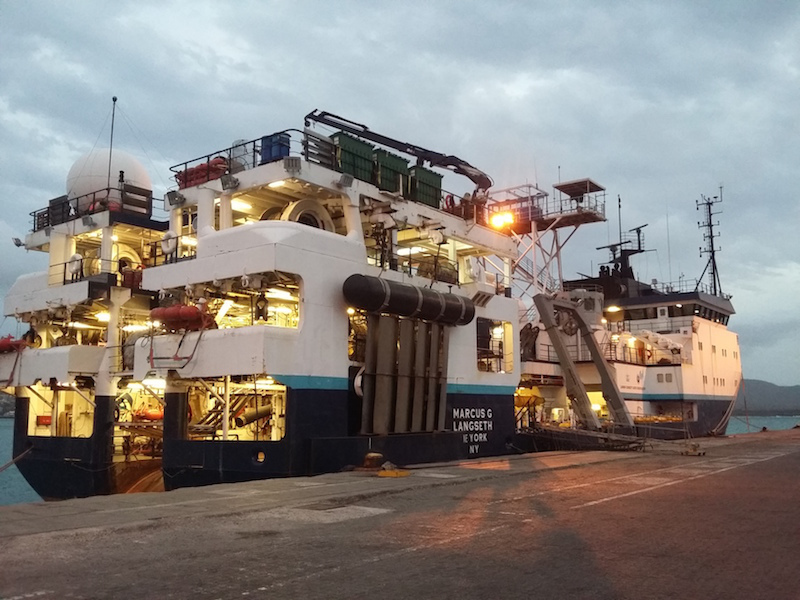 This project is a collaboration between various institutions that are providing the instruments and technical expertise including Institut de Physique du Globe de Paris (IPGP), Lamont-Doherty Earth Observatory (LDEO) from the University of Columbia, Scripps Institute of Oceanography (SIO) from the University of San Diego, University of Southampton (UoS), University of Bristol, and GEOMAR from Helmholtz Centre for Ocean Research, Kiel. The funding is provided by the Natural Environment Research Council (NERC), the European Research Council (ERC), and the National Science Foundation (NSF). The Principal Investigator of the mission is Catherine A. Rychert from the University of Southampton. G3: Tues. 1st May – Dr. Zvika Steiner from University of Cambridge. NOC room 064/03 at 3pm. 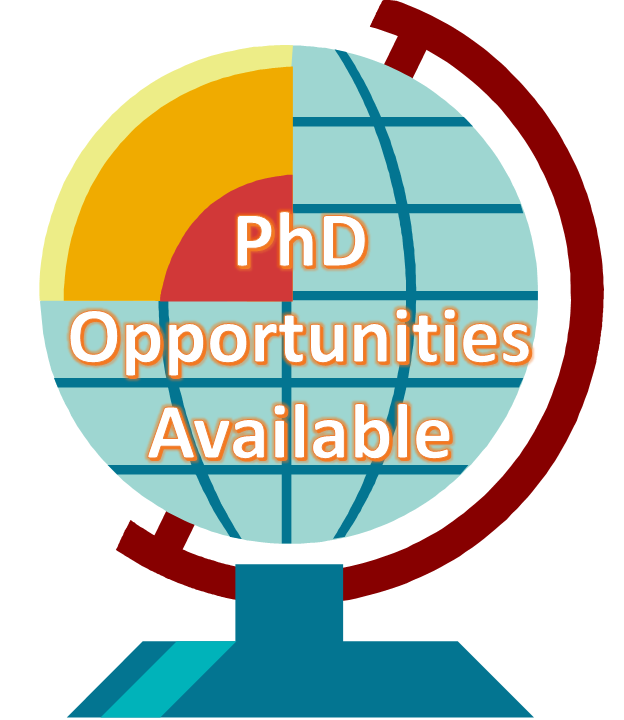 Coastal seminars: Wed. 9th May – Ms Sien van der Plank from University of Southampton. Highfield Campus, Building 07/3031 at 4pm. 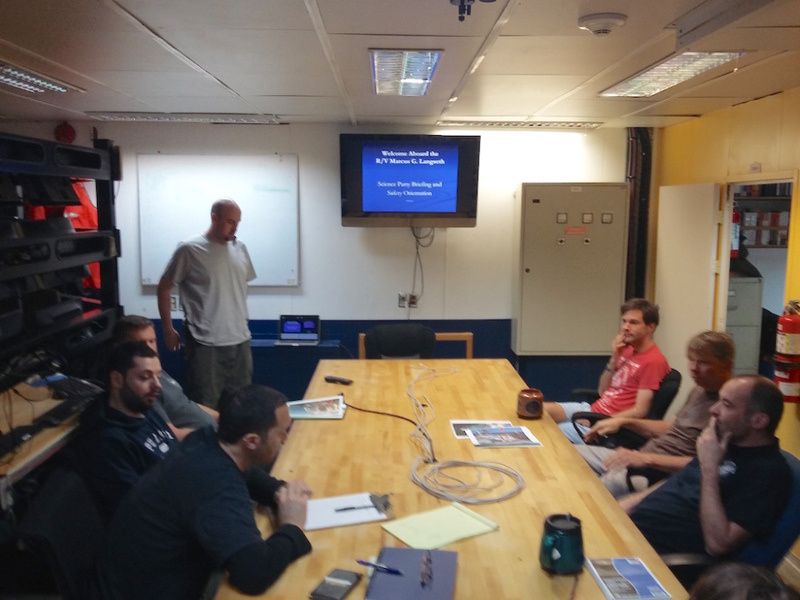 NOCS Friday seminars: Fri. 18th May – Phil Goodwin (OES). NOCS Henry Charnock Lecture Theatre at 2pm. See Seminar Series tab for details! How thick are the continents? Dr Michael Grant publishes article on the important Palaeolithic site of Three Ways Wharf, Uxbridge.